The Australian Government is strengthening the requirements to become an Australian citizen. See the media release available at Minister for Immigration and Border Protection website. Applicants will receive communication on the implementation of these measures and any additional information and documentation that may be required to support their application. intend to live or maintain a close and continuing association with Australia. 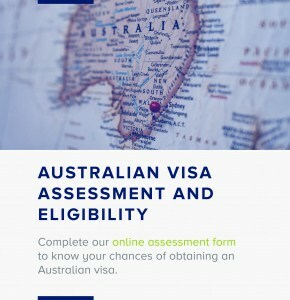 Eligibility – check whether you meet eligibility to become an Australian citizen, which include that you are a permanent resident, meet the residence requirement and are of good character. have an adequate knowledge of the responsibilities and privileges of Australian citizenship. If you are 60 years of age or over you are not required to sit the citizenship test. On 20 April 2017 the Australian Government announced that it would be strengthening the requirements to become an Australian citizen. This included increasing the general residence requirement, which means an applicant for Australian citizenship will need to demonstrate a minimum of four years permanent residence immediately prior to their application for citizenship. The changes will not apply to applications made before 20 April 2017. The current rules will apply to applications made before 20 April 2017. Under some circumstances you might be eligible to apply for a variation to the residence requirement or be eligible under the special residence requirement. 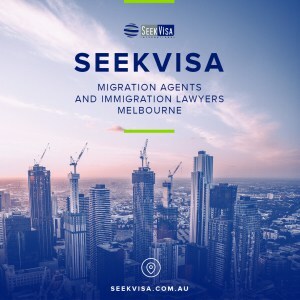 If you were granted a permanent resident visa before you arrived in Australia, your permanent residence date is the date that you arrived in Australia on that visa. If you were granted a permanent resident visa after you arrived in Australia, your permanent residence date will be the date that the visa was granted. You can include children under 16 years of age in your citizenship application if they are permanent residents. Children under 16 years of age do not need to meet the residence requirements. The fee for this application is AUD 285, unless you are eligible for a concession. If your spouse partner is an Australian citizen, or you are the surviving spouse or partner of an Australian citizen, you must still meet the eligibility requirements yourself to become an Australian citizen. Eligibility – you must be a permanent resident, meet the residence requirement, be of good character and meet the other eligibility requirements. If your spouse or partner is an Australian citizen, or you are the surviving spouse or partner of an Australian citizen, you must still meet the eligibility criteria for citizenship. intend to reside or maintain a close and continuing association with Australia. You can include your children who are aged under 16 years in your application for citizenship if they are permanent residents. Children under 16 years of age do not need to meet the residence requirement. are of good character if you are 18 years of age or older. Usually, unless you have been granted another type of visa, on your arrival in Australia and when you present your New Zealand passport, you will automatically be granted a Special Category visa (subclass 444). It is a temporary visa that lets you stay and work in Australia. It is not a permanent residence visa. Information about the additional pathway to permanent residence introduced on 1 July 2017, and general information for New Zealanders in Australia is available.